The anaerobic capacity is the total amount of energy from the anaerobic (without oxygen) energy systems, that is the combined amount of output for the ATP, phospho-creatine and lactic acid systems. The anaerobic system is maximally stressed in short duration high intensity activities (generally between 30 seconds and several minutes), and most of the following tests are over this time period. A related measure is the anaerobic threshold or lactate threshold measurements. 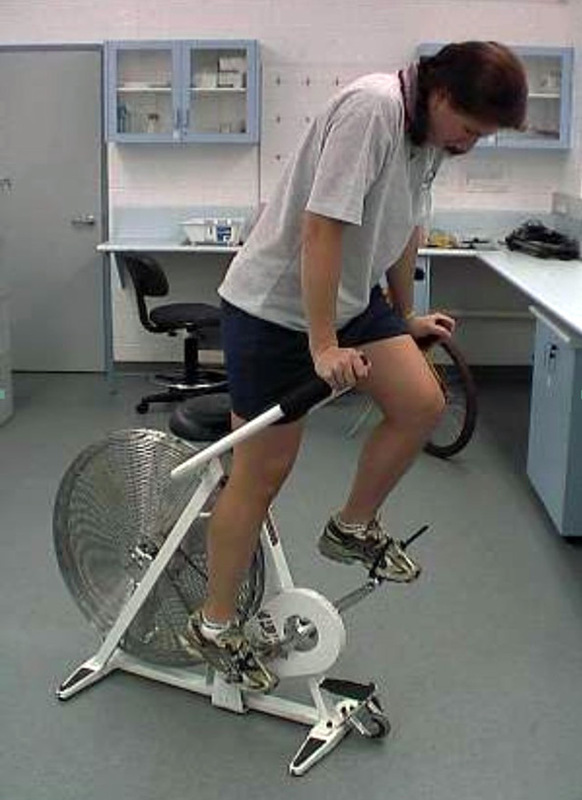 Below is an extensive list of fitness tests of the anaerobic system. Another related fitness component in sports is the ability continually reproduce short bursts of high intensity work, often with short periods for recovery. Some repeat sprint tests are also listed below. Also check out the information about Testing for Intermittent Sports. and the list of strength and strength endurance tests and speed and power tests. The anaerobic system is also involved in short duration and strength activities, and there is a list of strength and strength endurance tests and speed and power tests.